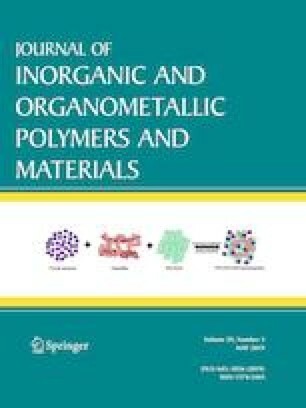 Chloroacetic acid immobilized on chitosan (CS) coated iron oxide decorated by silver nanoparticles (Fe3O4@CS@Ag@CH2COOH) was synthesized as a biocompatible magnetic material. The Fe3O4@CS@Ag@CH2COOH nanocomposite was characterized using FT-IR, XRD, SEM, EDS, and TGA instruments. The surface morphology and size of Fe3O4@CS@Ag@CH2COOH nanocomposite were determined through SEM micrographs analysis. Moreover, magnetic characterization of the prepared nanocomposite was determined by VSM. The produced Fe3O4@CS@Ag and Fe3O4@CS@Ag@CH2COOH nanocomposites were screened for their antibacterial activity against gram-negative Escherichia coli and gram-positive Staphylococcus aureus. The results showed that the Fe3O4@CS@Ag and Fe3O4@CS@Ag@CH2COOH nanocomposites presented good antibacterial performance toward gram-negative Escherichia coli and gram-positive S. aureus. Furthermore, Fe3O4@CS@Ag@CH2COOH nanoparticles catalyzed one-pot synthesis of hexahydroquinoline-3-carboxamide derivatives by four-component reaction of arylaldehydes, dimedone, acetoacetanilide and ammonium acetate in ethanol at 70 °C. Financial support by Rasht Branch, Islamic Azad University Grant No. 4.5830 is gratefully acknowledged.